Can you spot the spoofed email? I've posted an image of a real-life example of a spoofed email below. 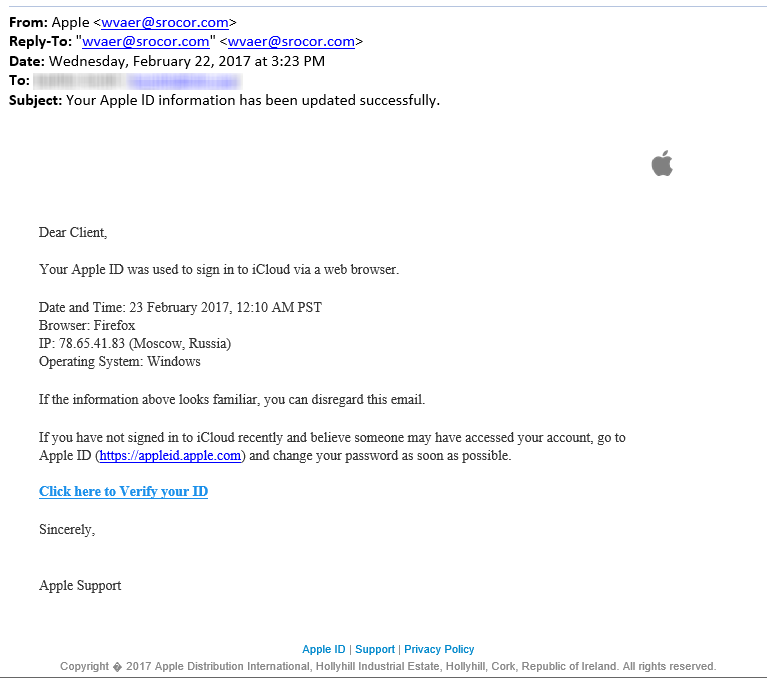 In the original email, the link that says “click here to Verify your ID” actually points to a malicious site—not apple.com. How can you tell? Before you click on a link, hover over the link and you'll see the real URL, not just the text display, which could be anything—hackers use that HTML coding feature to fool you into clicking. Beware the wolf in sheep's clothing! Learn more about guarding against email spoofing in our post on protecting your association from email hackers.